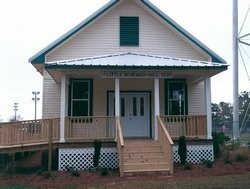 Between 1909 and 1914, Czechoslovakian settlers migrated to Silverhill, and built the first public hall in the area. 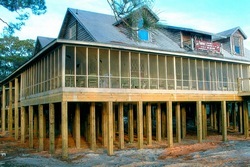 Known as the Bohemian Hall or Little Hall, it served the area for nearly a century until the storm struck on Ash Wednesday, March 2011. 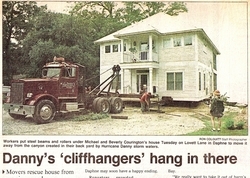 Relocating by barge: No problems with utility lines or tree branches! 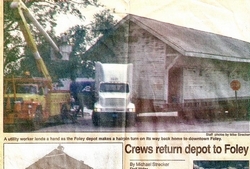 The Foley depot returns home. 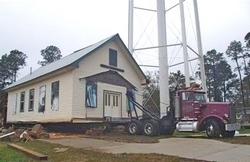 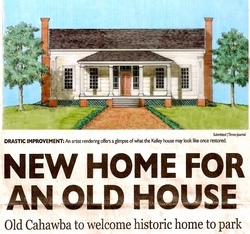 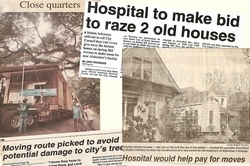 Relocating historic houses . . .